Keith, known as “Gilby” to all of those he influenced, attended Snohomish High School (Class of 1945) where he was a four-sport letterman with 10 total letters in tennis, football, basketball and track. He was the first two-time Most Inspirational Football Player at Snohomish and the captain of the first undefeated (9-0) team in school history. In 1950, following his graduation from Washington State University, Gilby returned to Snohomish to began his 61-year teaching and coaching career. Gilby served as head coach in football, track and field and cross-country. His knowledge and expertise in weight training and speed and strength development was ahead of his time and a tremendous skill he possessed. He was honored with the Snohomish Junior Chamber of Commerce Man of the Year (1961). He also received Everett Herald Coach of the Year (1963), Washington State Track and Field Federation Award for Outstanding Contributions (1966), and Snohomish County Man of the Year (1978). He retired from coaching in 1981. During his time as the head coach of the Panther’s track and field team, he guided individual student-athletes to state, national and world records. In cross-country, he coached the Snohomish Cross Country team to two state championships (1960 and 1965). He was then an assistant coach in boys basketball when the Panthers claimed the State Championship (1970) and was also an assistant football coach during Snohomish’s two title runs (1976 and 1978). After retiring, he continued to spend 30 years as a volunteer assistant coach in football and basketball. In his lifetime, he had a hand in 389 Panther football victories as a player or coach. Gilby returned to the sideline for the girls’ basketball team and their two State Final appearances (2005 and 2009). 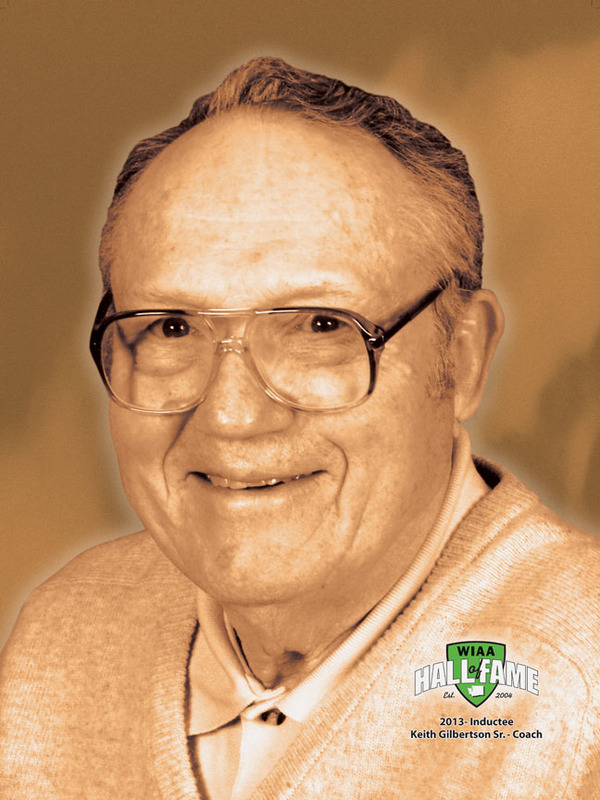 Cross Country Hall of Fame (1994), SHS Hall of Fame for Excellence in Education (1994), Ronald L. Kelley Memorial Award from the College of Education at WSU (1994), John R. Wooden Coaches Wall of Honor (2006), Snohomish County Sports Hall of Fame (2011), and the SHS sports and fitness center was named in his honor (2011). Many agree that Gilby’s influence went far beyond the halls and practice fields. He was continuously searching for knowledge, was always willing to help any athlete regardless of what school they attended, and he was endlessly devoted to sports.